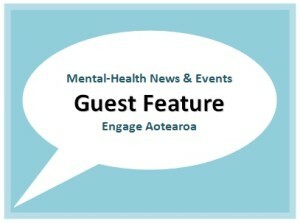 Like many Kiwi’s, Robert Miller from the NZ Schizophrenia Research Group recently received a message from Annette King, health spokesperson for the Labour Party, asking him to sign a petition against the government proposal to trial funding mental-health services with Social Bonds. Here, Robert shares a few of his thoughts on this controversial new move to fund mental-healthcare. Social Bonds involves using a private investment model where companies put up their own funds and are reimbursed (with interest) only if certain outcomes are met. The process of ‘procurement’ is now well under way. By March 2015, seven potential partnerships were being assessed, with a view to ‘moving to implementation in the second half of 2015.’ The Government document mentions ‘NGOs, retail banks, and specially created partnerships’, but provides no details of which organisations are to be involved. The first four Social Bonds contracts have been announced and they all have work targets as the defined outcomes. Since the pilot was announced, there has been much comment on the Social Bond scheme for mental health funding, in newspapers, generally highly critical. Let me make a few of my own comments, briefly, because there is urgency here. (i) Mental health is probably one of the hardest areas of health policy to get right, and this government seems to think it is just about money. It IS about money, of course, but just as important (perhaps more important), it is about organisational culture, sensitive responsiveness to needs of clients, and morale in mental health services. It is quite possible for dedicated, highly trained and skilled staff to deliver a first class service when physical aspects of the service (buildings etc,) are distinctly below par. It is the ‘human capital’ as much as the funding available which matters. These aspects of a good service cannot be measured in the usual way in which profit and loss are computed. (ii) The nature of funding streams IS an important factor in delivery of mental health care. In something as complex as setting up an effective mental health service, with its community outreach, it would help if funding (especially of NGOs for mental health care) were not administered in such a way that different agencies who should collaborate, are forced to compete for funds. (iii) Earlier this year I learned of someone writing a report about mental health for Treasury, found her e-mail address, wrote to her, but never received a reply. Maybe this government move is related to that report, although it has clearly been under development already for some years. In this case the government seems to be moving to get this inconvenient burden off its shoulders. The un-named banks and financial institutions are likely to have their bases outside New Zealand, have no responsibility to the New Zealand electorate, only to their shareholders. Apart from maximizing profits, mental health is an area which is not a money-making business, is not, and never has been capable of really generating a profit, except in a highly distorted sense of market discipline. In addition, I ask: What would be the ‘quid pro quo’ demanded by those private investors? If it seems that targets are not being met, and the return on investment therefore not likely to be forthcoming, what pressures will be put on services to meet the targets? What corners will be cut on ethical aspects of service delivery? What style of healthcare delivery would they require? Would delivery of mental health services become hostage to multinational enterprises, with agenda quite out of line with our own philosophy of healthcare? (iv) There may be some merits in the social bond scheme as a way to bring about public/private partnership. However, if so, it would be better to test this particular model of such partnership in an easier area than mental health care. It seems as if this is being tried out in the mental health area first because ‘no one really cares too much about this anyway’. Government policy makers should reconsider the choice of mental health as the first place to try out this approach. (v) In terms of ‘meeting targets’, the devil is in the detail. The main target appears to be getting people with mental health problems into paid employment; but this depends on many factors beyond control of any mental health service. In addition, for many service users, obtaining employment is the end of a long journey. It might be better to emphasize earlier stages of that journey, namely helping to rebuild personal resources of people whose normal development has been undermined by mental disorders. This might include entering and succeeding in higher education. Entry into paid employment would be a natural flow-on from this, which is a more fundamental form of assistance. (vi) In any case, this appears to be setting up a ‘pseudo-market’, possibly a subterfuge for covert administrative and government control. It also seems to imply that the government admits that devising a good mental health system is beyond its capability; and somehow, by offering financial incentives, the market in mental health care will somehow magic up a level of intelligence in this area, which is superior to the government’s own. This stretches credibility. (vii) Administrators do like to set targets, as if the matter of concern is one where commands can be given, and outcomes/outputs delivered according to plan (but, in today’s world, using the ‘invisible hand’ of market forces as an intermediary). Those at the front line of any human services, especially mental health services, know better. In their practice, immense flexibility is needed to cope with the individuality and idiosyncrasies of each client, for instance in matching each client to the most suitable practitioner of counselor. Target-driven systems are unlikely to achieve this. Such flexibility is one of the features that make for a good organizational culture and good morale in those services. (ix) I have just sent in an abstract to the New Zealand branch of RANZCP for their forthcoming meeting in Hamilton in September. Basically this is about the history of psychiatry. Sadly I conclude that, over the last century a specialty, which, in the 1890s, had the promise to become a respected branch of personal health care, at least on the continent of Europe, was largely taken over by those who sought the most efficient way to administer a ‘social problem’. This emphasis is quite explicit in the Government document: Under the section titled “What is the Government looking for the Pilot to do?” we read in its first bullet point “test the concept within the New Zealand context to see whether this is an effective and efficient way for government to reduce social problems” [emphasis added]. Nowhere, it seems, does one sense that actual persons with their own hopes and dreams are involved. Collectively, they are just ‘a problem’ to be reduced. Mental health care has insidiously become linked in the public mind to other ‘nasties’ of social policy, including (from 1834), workhouses and asylums, and then prisons, together with legal sanctions on prostitution, suicide, sexual orientation, street drugs, ‘welfare dependents’ and so on, all those areas that ‘nice people’ do not want to know about. The battle between these two has been raging for the last century, and more. I fear that parts of that battle are now being waged by international corporations, unaccountable to any electorate, probably in denial about the personal aspects of healthcare, or the person-centred ethical precepts, which should guide healthcare. (x) Now is the time to challenge this outrageous government move. About the author: Robert Miller was educated in Britain, originally a medical student, until he was overwhelmed by a psychotic disorder. Later he retrained as a neuroscientist and came to New Zealand in 1977 to a position in the Department of Anatomy at Otago Medical School. His research objectives have been to explore the theory of brain function and its relation to mental disorders. He founded and continues to lead the NZ Schizophrenia Research Group in 1994. 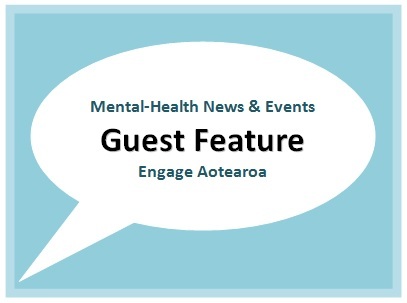 From 2009-2014 he served as community representative on committees of the Royal Australian and New Zealand College of Psychiatrists (RANZCP) where he learned that one of the biggest problems in mental health is to get different players to listen to one another. Robert tries to stay independent of all organisations, so as best to encourage them to work together. He is not a member of the Labour Party.